For brewing, enzymes increase starch liquefaction and saccharification, which in turn increase the production of fermentable sugars. These enzymes can help reduce viscosity, support yeast during the fermentation process and even chill-proof/extend the shelf-life of beer. There are a variety of available enzymes that can be used in brewing for a multitude of purposes. 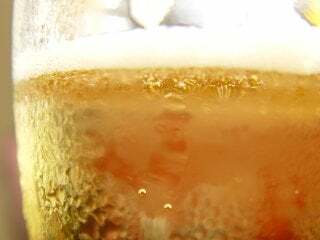 Big Beer often uses a glucoamylase for light beer production, while some craft brewers have gravitated toward alpha and beta amylase supplementation. A proline endo-protease is an up-and-coming enzyme starting to see some wide use in craft breweries. So what exactly is an enzyme? Basically, an enzyme is a protein. A complex one at that. Taber’s Cyclopedic Medical Dictionary defines enzymes as “complex proteins capable of inducing chemical changes in other substances without being changed themselves.” Enzymes are natural products of many living things, and they occur in everything from human spit to the mold in the bathroom. As such, many companies have taken to turning these enzymes into commercial products to naturally alter foods, beverages and more. Take Specialty Enzymes, for example. The company was started when the founder, L.C. Rathi, pioneered the extraction of papain, an enzyme complex derived from papaya fruit and widely used for pharmaceutical and medical purposes. For brewing, enzymes increase starch liquefaction and saccharification, which in turn increase the production of fermentable sugars. These enzymes can help reduce viscosity, support yeast during the fermentation process and even chill-proof/extend the shelf-life of beer. Or sometimes, enzymes can help smooth out a batch of grain that varies too far from what a brewer’s recipe calls for. A major concern of craft brewers who focus on natural products and even strive for an organic seal on their bottles is if they can organically certify a beer that uses enzymes. The short answer is no. However, brewers do have a few options. In 2009, Novozymes, one of the largest players in the enzyme industry (which also boasts companies like DSM and DuPont Industrial Biosciences), launched a study that probed the possibility of 100 percent barley beer using Novozymes’s Ondea Pro, which enables breweries to produce beer directly from barley. The study, entitled “Comparative Life Cycle Assessment of Malt-based Beer and 100-percent Barley Beer,” was undertaken by a Danish Brewery Harboes Bryggeri, which utilized 7 tons of extract, after boiling. Once fermentation took place, 7 tons of extract was used to produce 680 hl (roughly 579 barrels) of beer with an alcohol by volume strength of 4.6 percent. The categories of impact recorded by the study were global warming, acidification, nutrient enrichment (eutrophication) and photochemical ozone formation. And the result of the study? “Shifting from conventional brewing to 100 percent barley brewing saves the energy and water that goes into malt production. Furthermore, it saves 7 percent barley seen over the full life cycle. It also saves energy in the mashing and the boiling process and enzymes used for conventional brewing. On the other hand, more electricity is used in milling because barley is harder to grind than malt. Furthermore, Ondea Pro must be added to the mashing process. How does a beer brewed with enzymes taste? Well, for those who use enzymes as supplements, chances are you’ve had enzymes in beer and didn’t know it. As for beer brewed primarily from enzymes, McCammon admits there’s nothing quite like the real thing. As the craft brewing segment grows, McCammon expected that interest could grow from brewers looking for new brewing possibilities. CBB Mail Bag: Weed killer impact on barley, gluten? Check out an article featuring one of our people http://t.co/GHwjdo1FVu written by the good folks @CraftBrewingBiz. Cheers!